In a recently released notification, the Employees' State Insurance Corporation (ESIC) has gave clarification about the delay in declaring results of it's UDC & MTS online exam 2016. As you know, the organization has conducted online exam for the recruitment of UDC, MTS, Steno and Paramedical Cadres during 18th March 2016 to 27th March 2016 and 21st May 2016 to 22nd May 2016. All the aspirants have been waiting for these results from last 9 months. Today the organization gave clarification about the delay. According to the notification, the result of UDC, MTS, Steno and Paramedical Cadres' Online exam is pending because, the vacancy position of these posts is under review. This means there are chances for increase in vacancies. 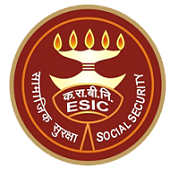 Check the notice released by the ESIC from below link. All the Best.